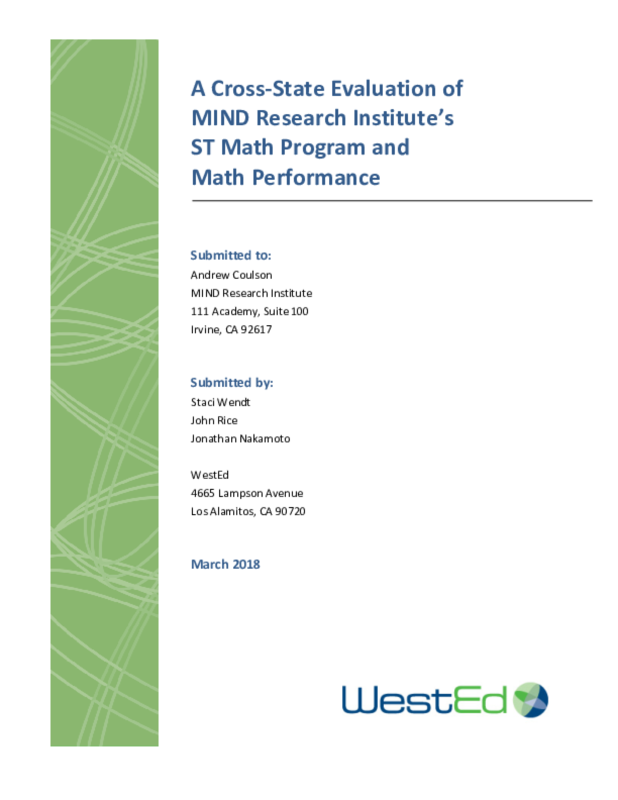 Spatial-Temporal Math (ST Math) is game-based, instructional software for K?12 students created by the MIND Research Institute (MIND). ST Math is integrated into classroom instruction, but can also be used in a computer lab or at home. The ST Math software games begin without language and symbol abstractions by posing math programs as purely visual puzzles. Interactive animated visual manipulatives provide informative feedback to student solutions.